$85,000 in Match Funding for Awesome Projects in Memphis! When we announced the $50,000 for Memphis match campaign in February, we were anticipating being able to fund about 20 projects across Memphis that aim to make the city greener, safer, more livable, and more fun. 20 projects – that’s a lot of citizen-led, neighbor-funded awesomeness! But we had no idea that we would be completely overwhelmed with great ideas from Memphians. As the amazing project proposals kept rolling in, far exceeding our expectations in number and quality, we knew it was going to be impossible to choose: we had to grow the pie. And it’s quite a range. When these projects launch on March 30 on ioby.org, look for community gardens, collaborative art projects, block parties, and more. Then on April 11, project leaders will be at MEMFix: Pinch, rallying support from their friends and neighbors to kick off the public match period. All public donations raised between April 11 and April 15 will be doubled thanks to the match funding. 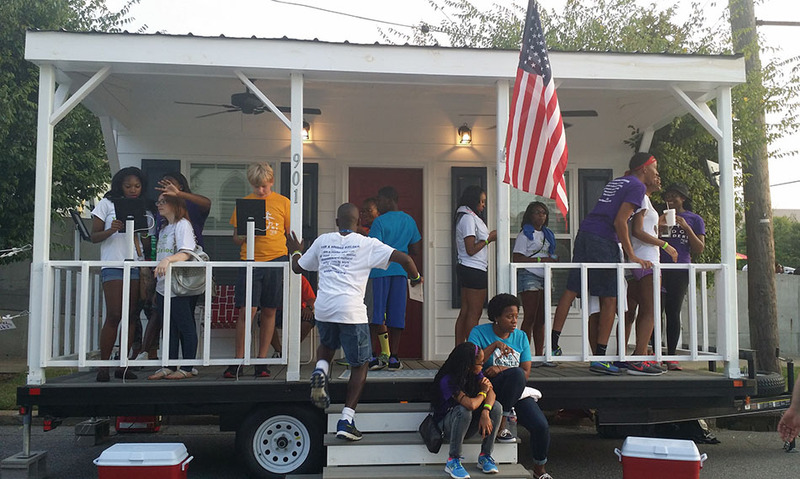 As if that weren’t enough, a number of the projects were awarded free use of the Mobile Porch, a traveling interactive citizen engagement experience – literally a front porch on wheels – designed to get neighbors talking about important issues. The Porch, created by Livable Memphis and Memphis Tomorrow, an association of business and community leaders, will travel to different neighborhoods and help project leaders bring their neighbors together. Train art and trees for Jacob’s Ladder: Neighbors led by Rev. William Marler will decorate the front of Jacob’s Ladder, a community resource center in the Beltline with railroad-themed metal artwork, and will plant 25 new decorative trees to provide shade near the center. Bus stop seats: In partnership with the Memphis Area Transit Authority, neighbors led by Emily Trenholm will purchase and install 24 sturdy and colorful seats at bus stops in high visibility locations citywide. Bat houses in East Buntyn: Neighbors led by Shannon Langellier will build bat and chimney swift houses in the East Buntyn neighborhood. Bats eat West Nile-carrying mosquitos and also provide entertainment and education. We can’t wait for these 78 awesome projects to get funded and get underway. One thing’s for certain, there’s going to be a lot of great stuff growing in Memphis this spring! The new projects are all going up on March 30.